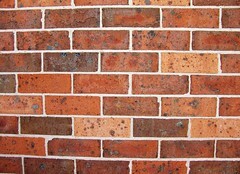 I advocate different kinds of brick session for triathlon. You do tempo runs. Why not a tempo brick? You do endurance runs. Why not an endurance brick? You do technique sessions. Why not a technique brick/transition practice? And so on for different kinds of run/bike session. The only reason I can think of why you wouldn’t do that would be if you were only doing a brick to get used to the feeling of running after cycling. And even then you know how bad that can sometimes feel…so surely you need to practice it some more. Quite a bit more. Both for psychological and physiological benefits. It seems that, in general, a useful session is at least 30 minutes of effort long. There are benefits for over 60 minutes but on a diminished level. Bearing that in mind…. So why not add on a 30 minute recovery run (Zone 1) to EVERY bike session. Or even a slightly harder Zone 2 run if you’re up for it? No warm up needed not too much time faffing around with changing and you were going to shower anyway? Good benefits for not so much additional time investment (yes I know your partner might not agree!). Similarly always have your turbo set up at home if space permits and hop on it after any run session for 30 minutes…especially if you are doing duathlons. Why not always jog or bike back from the pool or run round the lake? Some of these are just more creative ways to get more miles under your belt without wasting too much time but they will have some benefits.